Replecement diaphragm for Mackie SRM450,X tealth 440/450,some EAW,Behringer B1520PRO,Audio Dymanics,American DJ. 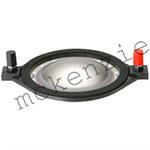 Meyer Sound MS-2001 16 ohm.Replacement Diaphragm. P Audio PADE99- 16 ohm original diaphragm. Pyle Driver PDBT38 original replacement diaphragm. 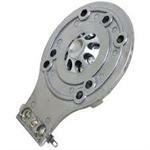 Pyle Driver Pro PDBT 31 Diaphragm. Pyle Driver PDBT31 original replacement diaphragm. 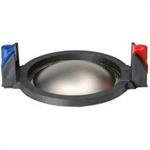 Pyramid TW46 original replacement diaphragm. QSC HPR 122 I Celestion CDX-1425 original high frequency driver. QSC HPR 153I &153F original high frequency driver. Sonic T215FR Horn Replacement Diaphragm. 16 ohms.